Map four takes a bit more explanation. 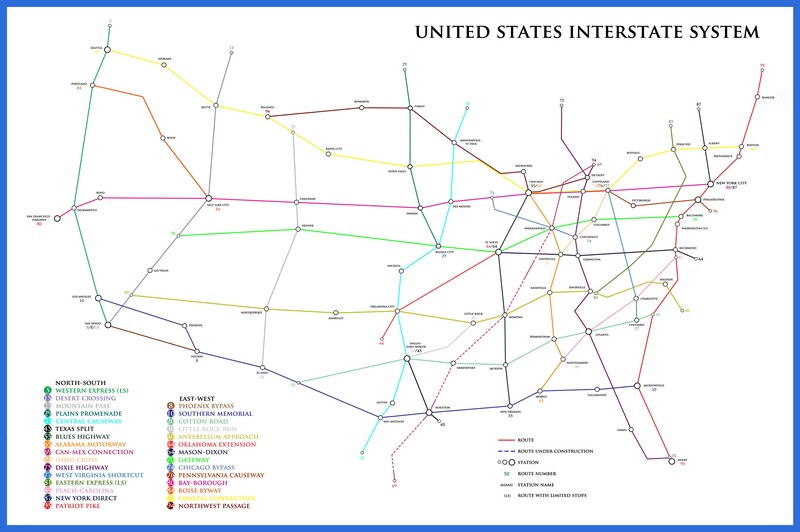 Inspired by some images I found online, I wanted to create a United States Interstate Map in the style of a route map you might see in a subway/train station in New York City, Chicago, or London. Using Adobe Photoshop, I drew routes and stations on a white background using a map from www.nationalatlas.gov to ensure accurate placement and scale. 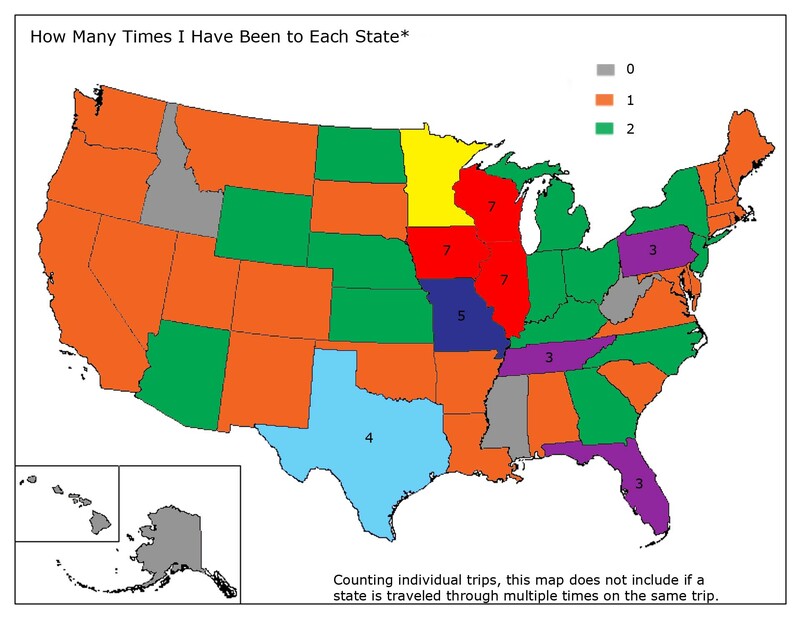 I only included Interstates over 300 miles in length. It took me several hours to construct this image but I’m rather fond of the end result. I’ll use this opportunity to discuss an important topic to me that this map reminds me of, high speed rail. I believe the United States could save significant energy by constructing high speed rail between the major metropolitan areas of the country. Having driven all over this great country of hours, I have observed many great sights as a traveler. The average commuter, however, just needs a way to get to work. A lot of time could be saved with high speed train service. I’ll nominate Dallas/Fort Worth to Houston as an excellent test subject. Residents on both ends of the line could get jobs much further away but within a manageable travel time each day. The national airlines will object, at first, so make them partners in high speed rail. Well that’s all for today. I trust you’ve enjoyed these maps. Check back soon for more, because there are never enough!